Scottish salmon is famous all over the world for its exceptional quality, and considerable experience is necessary to prepare, smoke and preserve it perfectly. 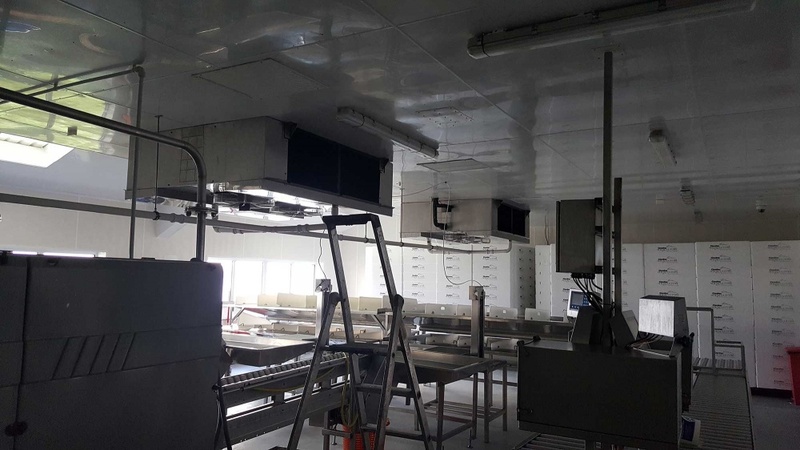 In this water culture plant, Refteco supplied air-evaporators with dual flow for the fish processing rooms, to ensure maximum hygiene and long life. Salmon processing, in addition to being carried out in a typical marine environment, also requires frequent washings of the cooling batteries with paracetic acid-based disinfectants to remove any possible bacteria and fungi. Since the processing is done in an environment where there is a high risk of corrosion, the pipes, keel, fan grids and all the screws were made of stainless steel and the heat exchange batteries were protected by cataphoresis treatment.